The promoters often seek to assure you that the investment is legitimate by not asking for any money upfront and telling you that it is risk-free. To get started, they say, all you need to do is give them your phone number and email address, create an account, or sign in to an online portal. 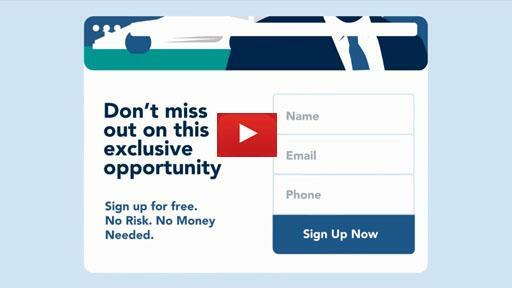 Once you sign up, you begin to receive unsolicited offers for so-called “can’t miss” investment opportunities. You may even start receiving phone calls from slick salespeople who will try to befriend you and then lure you into an investment scam. The fraudsters also may add your contact information to a list with names and contact information of others who signed up. Then they may sell the list – including your phone number and email address – to other fraudsters who will target you for other scams. And these fraudsters may sell or share your phone number and email address again, so that you and your money are targeted for life. Staged “live” demonstrations of people opening and funding accounts in “real time” and seeing their trading balances increase automatically. The marketers allegedly coordinated the timing and spamming of their campaigns, sometimes sending millions of emails with fake marketing materials to prospective investors. The SEC alleges that several of the marketers, while communicating among themselves, ridiculed investors who believed the marketing materials and who lost their money to the investment scams. Be skeptical of any promotion that suggests you will get rich quickly, or that you are guaranteed to make a lot of money with little or no risk. These are classic signs of investment fraud. If you have a question about an investment promotion, contact OIEA by phone at 1-800-732-0330, online, or by email at Help@SEC.gov. If an investment promotion grabs your interest, research the “opportunity” before providing your phone number and email address. Take a few minutes to verify that the person offering the investment is currently registered or licensed by using the free and simple search tool on Investor.gov. If you cannot verify that the person is currently registered or licensed, do not hand over any money and do not share your contact information.